Pretty much all of us have experienced being “the new guy” at school or at work, and we know it always takes time to adjust to the lingo of the environment. With the hobby world, this fact is no different, as many of the terms can be very isolating for a person who hasn’t been around the block. Even for people who are returning to collecting after being away, the way people interact has changed drastically over the years. Hopefully, I can shed some light on words you may come across; if only to help you become acclimated with a new way of looking at sports cards. Consider this to be your beginner’s glossary, broken into sections that should help you navigate the hobby. Pack – Other than single cards, the lowest denomination of product you can buy. This contains 1-60 cards depending on the product (look for information on the wrapping). Box – A pre-determined number of packs, packaged together in a sealed container. A box will be sealed by the manufacturer, and will contain advertised content. There can be anywhere from 1 to 36 packs in a box on average, be sure to check packaging before purchase to know exactly what you are getting. Autographed Card – A common or rare card that has been signed by the player in accordance with company certification rules. These can also be referred to as a “certified autograph.” Usually, autographed cards are seeded one or two per box and can be the most valuable cards you can get in a pack. Hard-Signed Autographed Card – An autographed card that features a signature placed directly onto the card’s surface. These are usually considered to be more favorable, as they are handled by a player during the signing process. Sticker or Label Autographed Card – An autographed card featuring a certified signature on a clear label, which is applied to the card’s surface during post production. 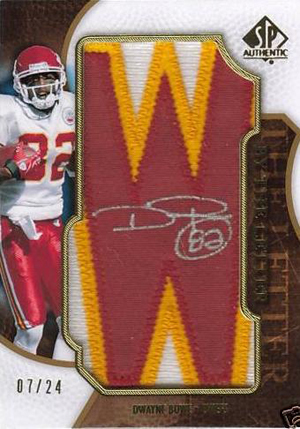 Jersey Card – A card that has a piece of game-used jersey embedded in the cardboard. These cards are usually pretty easy to identify, and the windows containing the swatch of fabric are prominently displayed. These pieces of the jersey can be from all kinds of items, from a hat or shoe used in a game, to a jersey or pants worn in a special event. Patch Card – A jersey or relic card that features a swatch made from patch(es) on a team jersey. Common patches include jersey numbers, team names, player last name plates, team and league logo. Insert – These are usually cards that come at a higher odds ratio, just like SPs. Instead of being a part of the normal base set, however, they are part of a “subset”, or set within the set. They look different then the common cards, and usually have different names. Parallel – A card that is a serial numbered version of another non-serial numbered card. For instance, a base card would be unnumbered, but a parallel of that base card would have a serial number. Parallels sometimes have the same design and photo, but have different color schemes. 1-of-1 – Card is the only one like it in existence. These can be the most valuable cards in the industry, but can also be very inexpensive. Most of the time it depends on the player, as well as the product it comes from. Logo Patch – A card featuring a team or league logo patch from a jersey. As of 2009, jerseys from all four sports feature a league logo patch. These are usually the most valuable of the 1-of-1’s that exist. Cut Autograph – A card featuring an autograph that is not signed directly onto the card, but is instead cut from another source (such as a check). Cuts are typically reserved for players that cannot or do not sign cards. Most cut autograph cards feature subjects who are deceased. Printing Plate – A pack pulled piece made from the plate used to print the card. These “cards” are considered to be one of a kind collector pieces, and are produced in the shape of the normal common cards themselves. Usually, printing plates come in the four colors needed to create a color photograph: black, cyan, magenta, and yellow. DNA Card – A card featuring an imbedded biological link to the subject on the front. Most of the time, these cards have hair or similar pieces from important historical sports figures, politicians, or celebrities. Hits – Most boxes you can buy have stated number of jersey or autograph cards per unit you can buy. 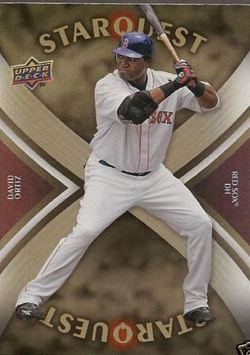 The cards like this are called “hits” because they are considered to be the best in the box. So if you hear someone referring to the “hits of the box”, it means they are talking about the rarest seeded cards one can pull in each pack or box. Checklist – A complete list of cards contained in a particular set furnished by the product’s manufacturer. People often use checklists found in packs or online to help them complete sets they are collecting. 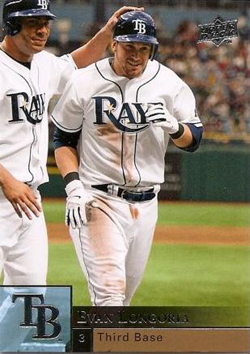 Rookie Card – Dual Meaning: a card from a player’s first year in the league, or the non-parallel version of a base card from a product released player’s first year. Super Collector – Someone who tries to collect every single card produced for a certain team, player or set. Ebay or “The Bay” – Ebay.com’s card auctions. Serial Numbered – A card that is super short printed to the point where the manufacturer has stamped the print run onto the card. Cards are numbered sequentially, and can be numbered as low as 1. Exclusive Spokesperson – Refers to athletes whose autographs, jerseys, and memorabilia will not be available in other brands. Michael Jordan, LeBron James, Kobe Bryant, Derek Jeter, Tiger Woods, Alexander Ovechkin and Ken Griffey Jr. are all Upper Deck exclusive spokesmen, among others. Of course, this is just a sampling of the many terms you will run into when conversing with more seasoned collectors. However, most of the card blogs and message boards also consider their writers and members to be teachers as well as informers, which can work to your advantage if you have a question. The rule is always to be sure rather than just assuming, as clarifications are much easier to fix than sorting out miscommunications. The goal of the New Collector Corner series is to help casual sports fans and new collectors become familiar and comfortable with a hobby that can be confusing or daunting at first. This series focuses on tips that will help a new collector build and maintain a collection. What is a mem card?